Happy Texas Independence Day! It was hard to decide what to write about in honor of one of my favorite holidays of the year. At first I thought about sharing what I loved about our state–Blue Bell, blue bonnets, barbecue–but plenty of other sites are already covering these things. I thought about sharing my favorite outdoor places in Texas, but I can write that any time. Then I thought about YOU! My readers, Texas women. 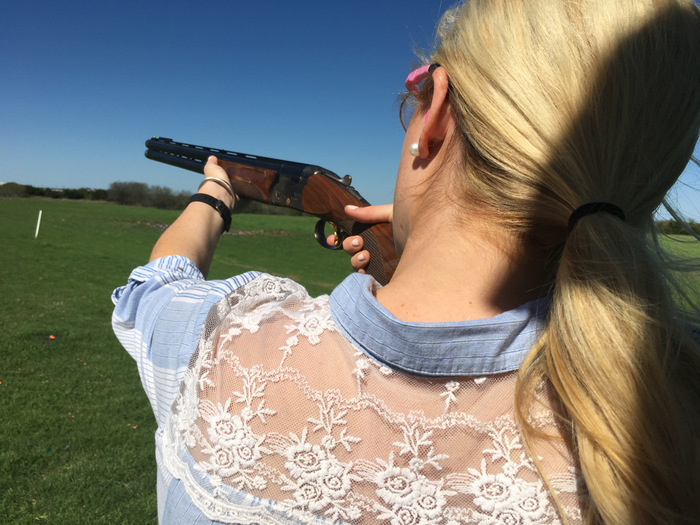 What makes a person a true Texas woman? Why are we different than other women? We come in all shapes and sizes but there are qualities that underpin each one of us. Influential First Ladies, women on the frontier, women fortune 500 CEO’s, and so many others have set the bar high. Beyonce is from Texas, after all. The woman who invented liquid white-out is from Texas. It was Texas women who saved the Alamo from being torn down years after the battle. These women and many others paved the way for us to be who we are. 1. We have an independent streak. We love to be part of teams and we love our husbands, but if forced to cut it on our own, we can manage. My great great great great aunt Amanda Burks had to take care of her cattle ranch back in the 1800’s when her husband was off on a cattle drive, and she eventually took over the cattle drives when he passed away. Such was the story of many Texas women in that era. 2. We are the ultimate DIY-ers. Ever heard of the television sensation that is Joanna Gaines? She is a Texas woman. She embodies the do it yourself Texas spirit, seeing potential in what others would call a pile of rubble. During Texas’ frontier days, ingenuity like Joanna’s was a Texas woman’s greatest asset. It is how they carved out a life on the frontier. It is also what inspired them to preserve the Alamo. When we set our minds to something, though–be warned! We can’t be stopped. I want to urge you to make waves. I want to urge you to rock the boat. I want to urge you to get off your duff. I want you to speak out at whatever cost if it comes from your heart. You’re going to build this country in which my six grandchildren will grow up. And when you see what you have done, I hope that you are proud of it. 3. We love the landscapes that make up our home state. 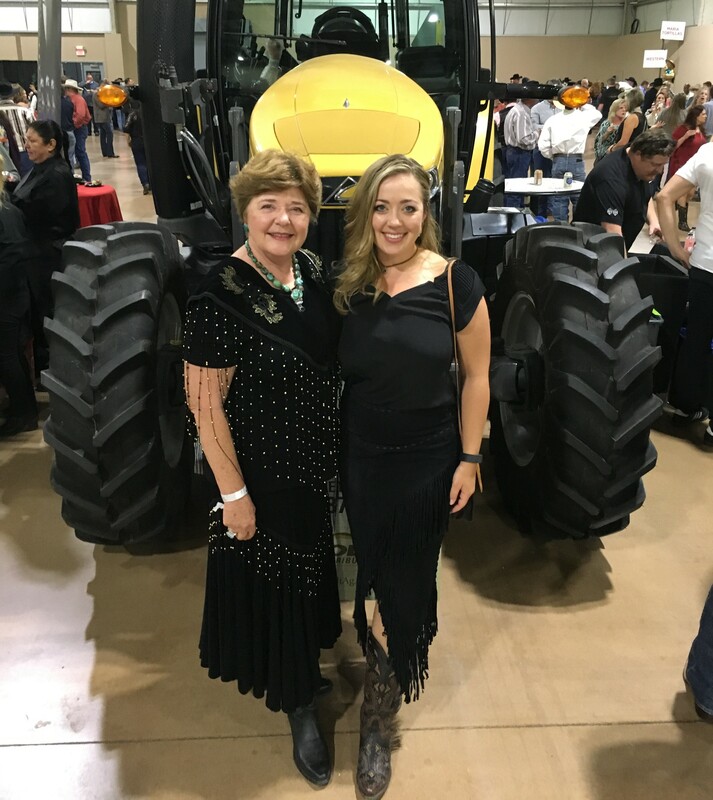 It’s no coincidence that the two First Ladies from Texas, Lady Bird Johnson and Laura Bush, have both had a heart for the outdoors and used their position to draw attention to the need for better stewardship. The environment after all is where we all meet; where all have a mutual interest; it is the one thing all of us share. It is not only a mirror of ourselves, but a focusing lens on what we can become. Even those modern Texas women who prefer air conditioning would likely agree that Texas has truly majestic places within its borders, and that we must band together for their conservation. 4. We know and help our neighbors. When I lived in Washington, DC, my neighbors looked at me like I was from another planet every time I introduced myself. To them, it was strange, almost a violation of privacy, for us to know each other. Here in Texas we operate a little differently. I know all of my neighbors and we help each other out. We share venison and take care of each others pets. We visit in the front yard. 5. We are a friendly bunch. I can usually pick a Texas woman out of the crowd. She is a little more outgoing, a little more confident, and a little more likely to invite you over to her family’s Thanksgiving dinner if you have nowhere to go. 6. We have 99 different pairs of boots. 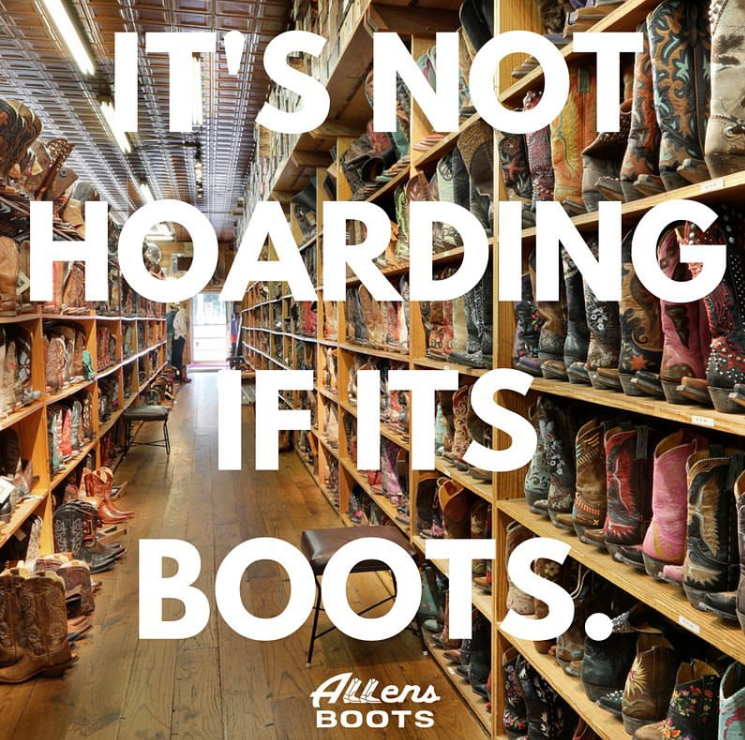 Snake boots, dancing boots, work boots, dress boots, red boots, brown boots…the list goes on. My favorite thing is when someone new to our state buys boots as an initiation ritual. I usually just tell them that’s their starter pair. We love our boots! 7. We may be tough but we like to get dolled up. I love so much about our state but it’s the women I meet here and read about in history books that truly inspire me! Keep up that Texas spark, ladies. 1 Reply to "The Qualities That Define Texas Women"
Very proud of my Texas woman!